Start Scout Hut, Swallow House Lane, Hayfield, SK22 2HB. 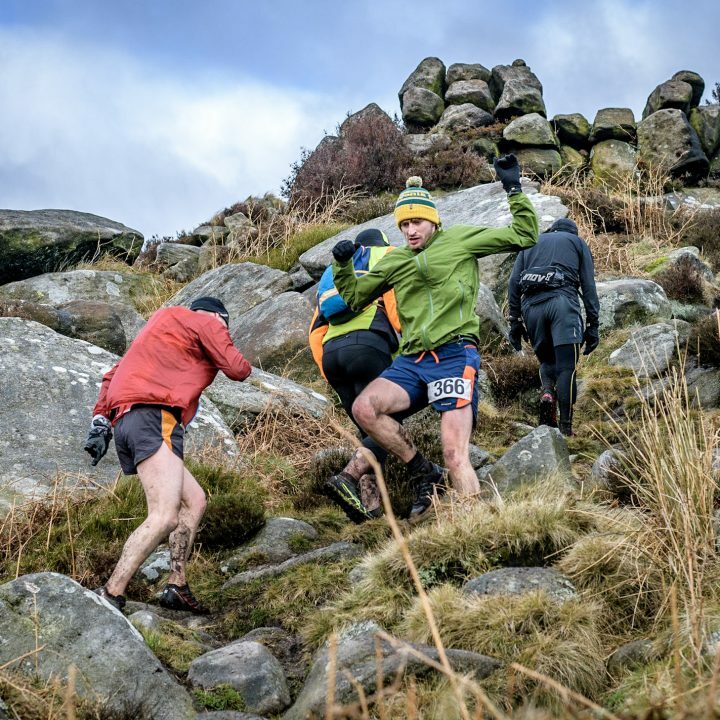 A new fell race was birthed with a musical reference name and it caused quite a stir amongst the fell running community. Groovy Kinder Love isn’t one for the faint hearted though, coming in at around 15.5 miles, over 4,265’ of elevation with 13 checkpoints. 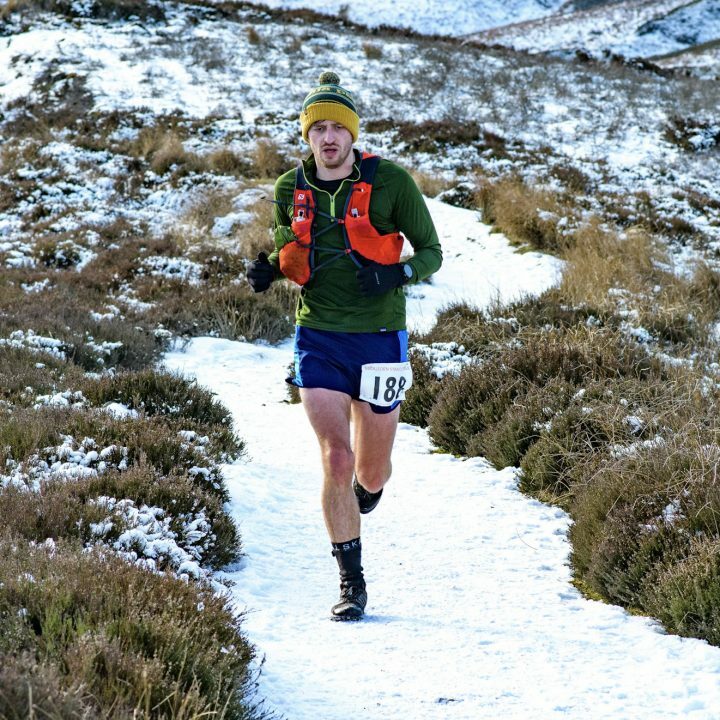 The name alone attracted me to enter the race along with most of the other runners and before I knew it I’d be heading to Hayfield to put myself through a tough few hours of fell running and navigation. 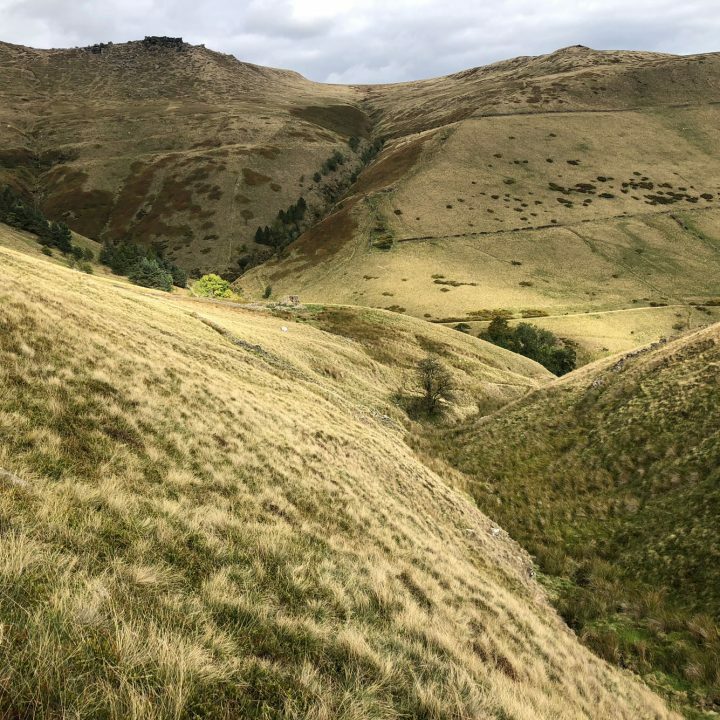 We all set off in an orderly fashion climbing up out of Hayfield over Kinder Bank to checkpoint 1, from there on out it was everyman for themselves. Some people opted to stick to the well trodden paths and others, like myself headed as the crow flies through thick heathers and rough moorland vegetation. I’d planned the route the evening before and decided that where there was no clear path I should take the most direct route to reach the next checkpoint. 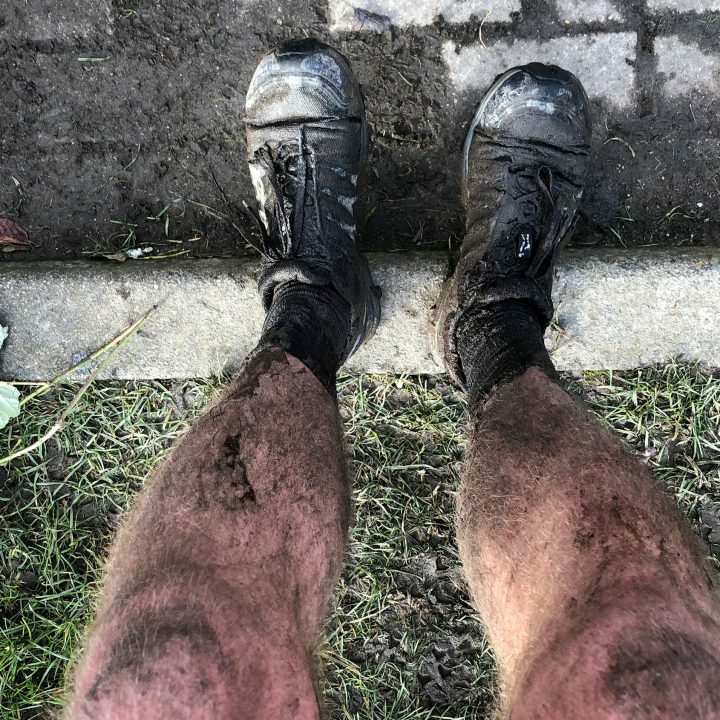 In hindsight, I’m not sure I’d opt for that option next time as the additional energy it takes to move through the rougher terrain and vegetation really took its toll on my legs. I wasted a lot of energy wading through heather and rivers, unnecessarily. After I’d reached checkpoint 2, I opted to stick to the path until reaching checkpoint 4 where I then headed for the less trodden route to march up through the heathers with one unfortunate runner following me, likely cursing their decision. Getting between checkpoints 5, 6 and 7 became a much appreciated respite from the heather bashing, and I scooted between them only losing one place to the fellow rough stuff runner who’d by this point caught me up. When I got to checkpoint 7 they were checking off race numbers, as this checkpoint had a cut off time and I asked them how many other people were still to come through and I think they said around 3 or 4 more out of a field of 77. I wasn’t doing well, I couldn’t believe I was only 3 or 4 places off being last! 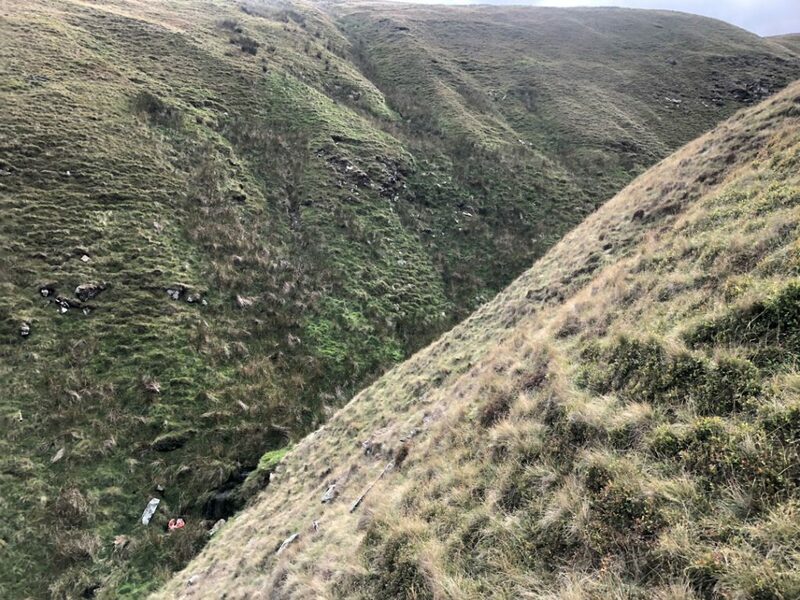 I’d lost a lot of places taking the direct lines and the next checkpoint at the top of Kinder Low was my next questionable navigation decision, opting for the direct route with a lovely 290m climb over 2km to get there. 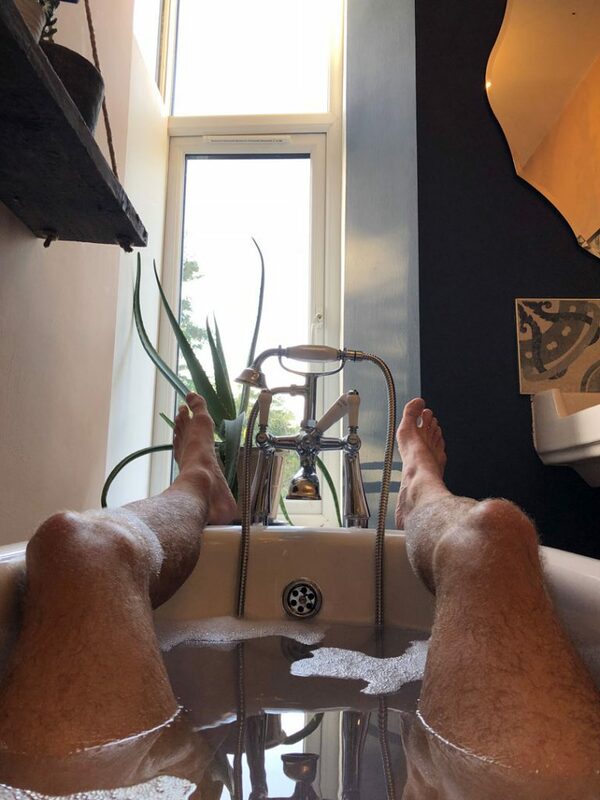 I set off from checkpoint 7, taking on a much needed magnesium tablet to hold off any chance of cramping up, and I snaffled a bounty whilst taking on the climb. It was definitely the shortest route between the two checkpoints but I had to struggle through, actually climbing up on all fours at some points. Luckily the summer had been very dry so I found a dried up stream and followed that up the side of Kinder Scout. 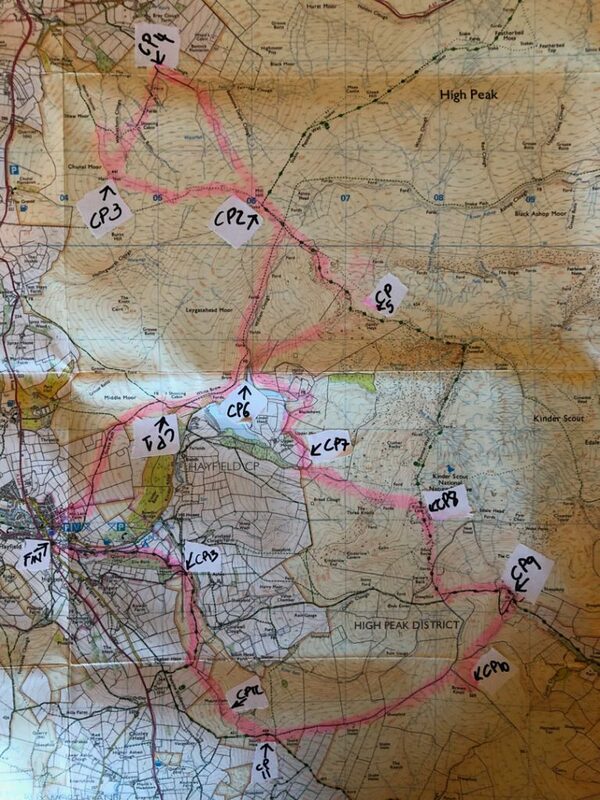 Again I wasn’t the only one to take this route, I clocked two other runners close on my tail who’d also opted for this very direct route. Checkpoint 8 to 9 was a steep two kilometres of decline, losing almost all the height I’d just gained in the previous 2km. Then as soon as I reached the bottom it was time to take my another direct line climbing 150m up the side of Brown Knoll to reach checkpoint 10. I managed to scoot past two more runners on this direct line and get there somehow with enough energy to scuttle off to checkpoint 11, leaving a number of runners behind. After checkpoint 11 there was a short climb to checkpoint 12, where the race marshals were sheltering from the wind behind the cairn atop Mount Famine. Now I was on the slow decline to checkpoint 13 where the path became sheltered from the elements giving me some much needed relief from the harsh wind that had been blasting us all day. Fell runner or running nun? Checkpoint 13 came and went with some words of encouragement from the two race marshals, willing me on to the finish line. Somehow, I mustered up the energy to run the final stretch to the finish after having stopped & started on the climbs for the last kilometre. 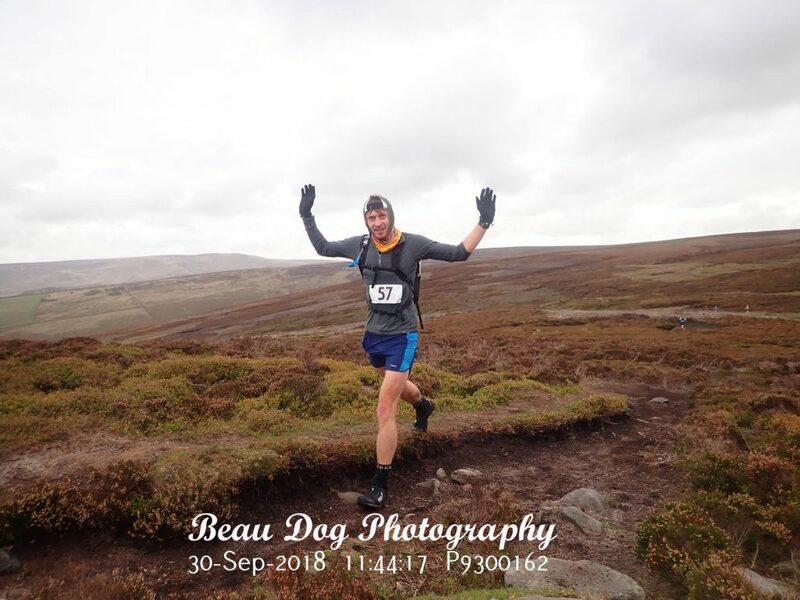 When I reached the finish line, I collapsed in exhaustion to a typical fell runners finish, a few words of congratulations from two more race marshals, ticking off the bib numbers of finishers as we trickled in. A complete contrast to the finish line for the Sheffield 10km. Eventually I hauled myself to my feet and set off walking to race HQ where I devoured copious amounts of sandwiches, hot soup and cake. 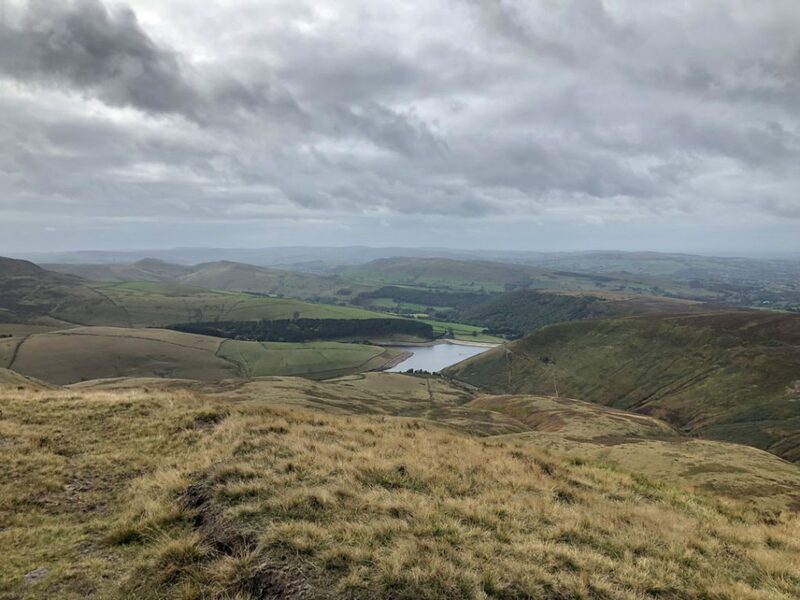 It was a fantastic day, set right in the heart of the Peak District taking in the epic views from around Kinder Scout and the surrounding area. 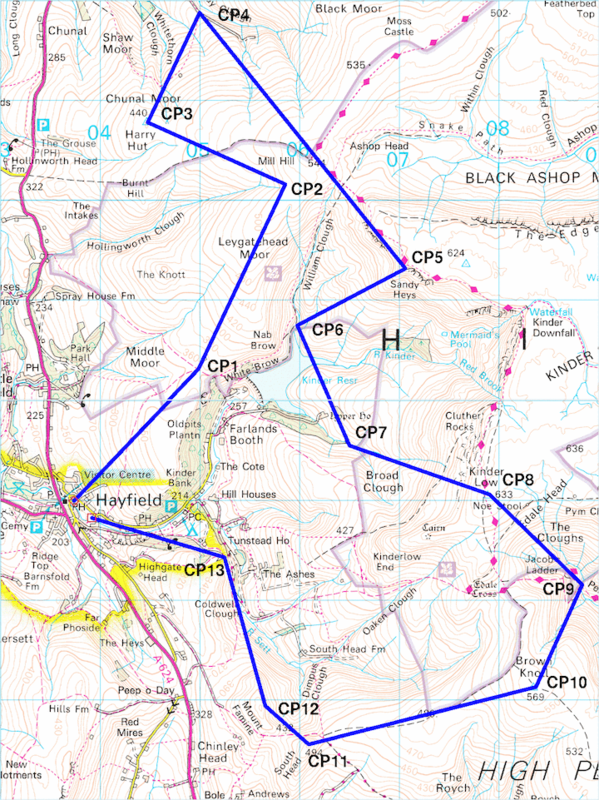 I’d never been to Hayfield before so it was nice to explore the area from a new base. I want to say a massive thank you to all the race marshals for enduring the weather at some very exposed checkpoints so we could run around in the hills like a bunch of raving looneys safely for the day. I finished Groovy Kinder Love in 3:42:56 and placed 43rd out of 77. Although the direct lines didn’t pay off every time it must’ve helped me out at some point because I definitely clawed some places back after checkpoint 7.